Didn’t set out to do a Vintrinsec-only flight but that’s how it ended up. 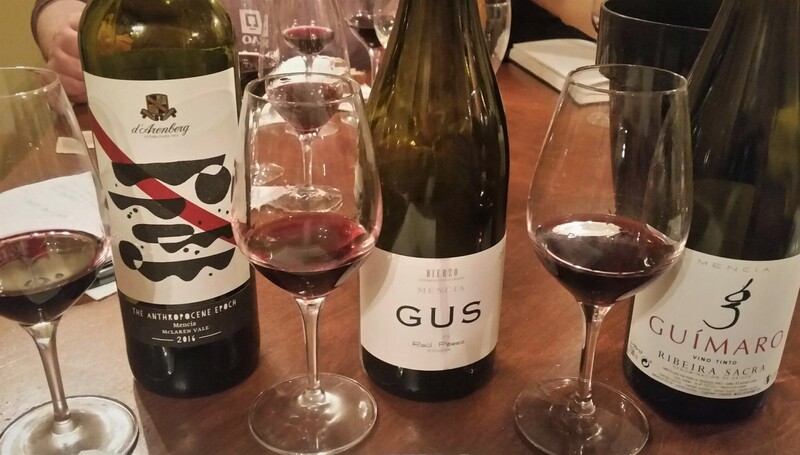 Is the agency cornering the Mencia market in Quebec? Australian Mencia. Who knew? Apparently, this is the first vintage of the wine. 100% Mencia. The grapes are hand-picked and vinified on a parcel-by-parcel basis. The grapes are gently crushed and placed in fermentation vats. About two-thirds of the way through fermentation (with selected yeasts), the grapes are foot-trod, then basket-pressed and transferred to old French oak barrels for nine months. Reducing sugar: 2.7 g/l. 14% ABV. Screwcapped. Quebec agent: Vintrinsec. Rockstar winemaker Pérez named an earlier entry-level cuvée Dargo, after a pet dog. This cuvée is named after one of his cats. 100% Mencia from organically farmed 70-year-old vines. Matured 12 months in neutral French oak barrels. Reducing sugar: 1.6 g/l. 13% ABV. Quebec agent: Vintrinsec. Mencia (90% with five percent each of Caiño Tinto and Sousón, all from organically farmed vines in various parcels with soils ranging from granite to slate and sand. Manually harvested. The lots are fermented separately by soild type. About three-quarters of the harvest is destemmed; the remainder is left in whole clusters. Cold-macerated six days. Fermented 20-30 days with indigenous yeasts, half in tanks and half in foudres. Matured six months in tanks on the lees. Unfiltered. Cold-stabilized. Fined with egg whites. Added sulphur is kept to a minimum. 13.5% ABV. Quebec agent: Vintrinsec.